We have six vacation rental properties (apartments and houses) in downtown Gettysburg for family travel getaways and extended stays. Our rentals might be a better fit for families with young children or guests looking for longer stays at a more economical rate. These properties have queen bedrooms, bathrooms, fully equipped kitchens, and living areas. All are supplied with bed linens, towels and starter paper products. Most of them have secluded decks and yards. All have private off-street parking. You can see more information at www.ghvrentals.com. 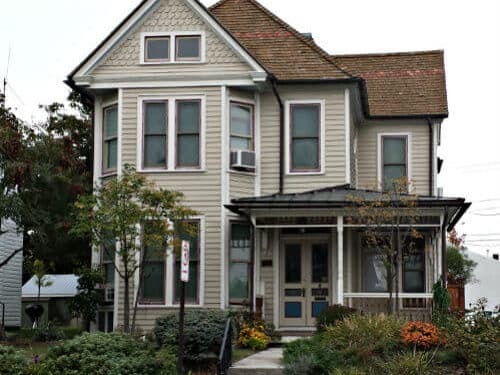 There are now many vacation rental properties in Gettysburg, but none managed by such an experienced long-established B&B like the Brickhouse Inn. Our housekeepers, innkeepers and owners bring matchless standards and experience to the cleanliness and comfort of these properties. 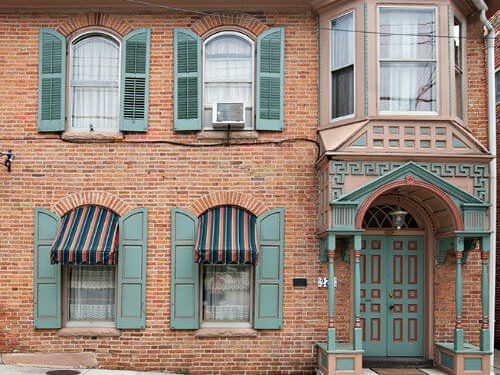 The vacation rentals are all within easy walking distance of shops and restaurants in downtown historic Gettysburg. 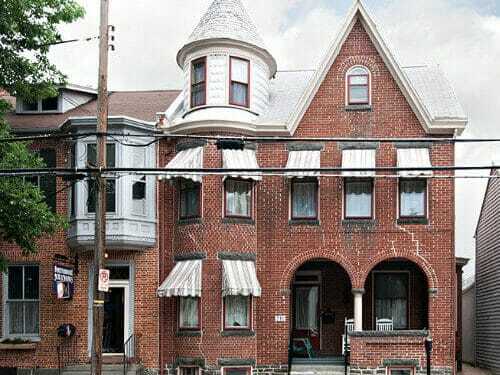 Three minutes-walk from the center of Gettysburg, this 1890 Victorian house has four queen bedrooms and 3 ½ bathrooms. The TV room has a pull-out sofa. Fully equipped kitchen, dining room, living room, TV and Wi-Fi, deck and garden, garage and off-street parking. A modern cottage five minutes-walk from the center of Gettysburg, with two queen bedrooms with en suite bathrooms. The 2nd floor bathroom has a Jacuzzi tub/shower. A fully equipped kitchen, loft sitting room with TV and Wi-Fi, small back porch with garden and pergola. Off-street parking for two cars. 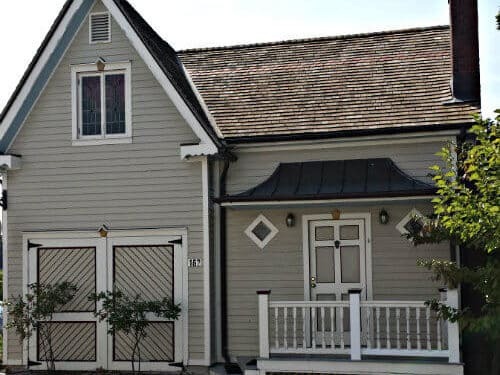 Can be rented with Culp House. This 1890 Victorian is located five minutes-walk from the center of Gettysburg. It has three queen bedrooms and 2 ½ bathrooms, a fully equipped kitchen, deck and garden, TV and Wi-Fi. Electric heating in winter and central air-conditioning in summer. Off-street parking. Can be rented with Cricket House. Four minutes-walk from the center of Gettysburg. Civil War era house with two apartments, each with two queen bedrooms and one bathroom, fully equipped kitchen, TV and Wi-Fi. Can be rented separately or together. Yard with deck, off-street parking. 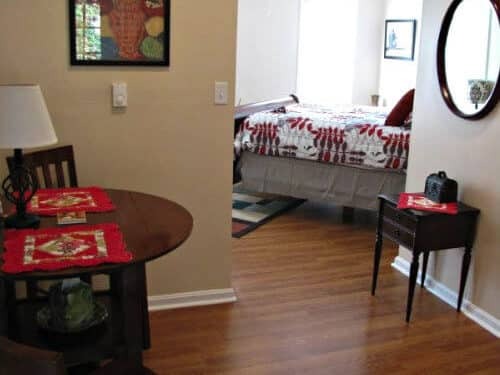 Second floor efficiency apartment ten minutes-walk from the center of Gettysburg, with a queen bed, bathroom with shower, and fully equipped kitchen, TV and Wi-Fi, ample parking.